Set your clocks back, and check your smoke alarm batteries this weekend! 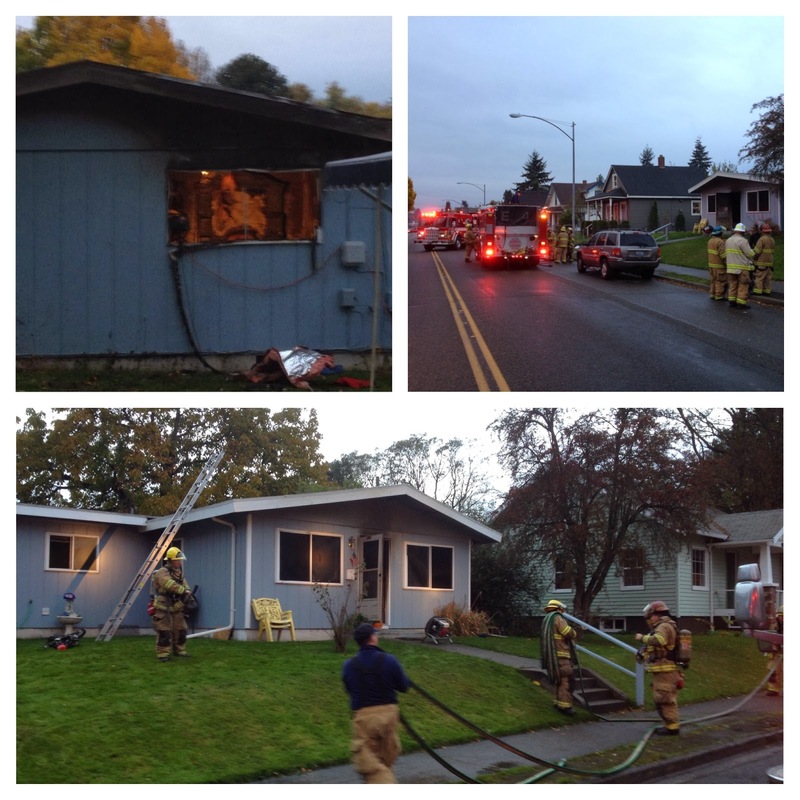 Combustibles too close to a heater started house fire on S. Wilkeson St. Incident Location: 2106 S. Wilkeson St. Narrative: At 6:58 a.m., Firefighters from stations 1,2,4 and 9 responded to a reported residential structure fire. The first arriving company found heavy flames and smoke showing from the back of the one story approximately 1,000 square foot house. Crews attacked the fire with handlines and searched the structure to confirm no one was trapped inside. Working smoke alarms alerted the occupants to the fire, and all five were able to escape. Two occupants were evaluated and treated by paramedics and released on-scene. The Red Cross was requested to provide relocation assistance to the two adults and three children displaced in the blaze. The cause of the fire was bedding too close to a baseboard heater ignited resulting in an estimated $38,000 damage to the building and its contents. Combustibles near a baseboard heater spark house fire on South "K" Street. Narrative: At 9:15 a.m., Firefighters from stations 1,2,7,8,9,11,15, 61 and 63 responded to a reported fire. The first arriving company found heavy flames and smoke coming from a single story approximately 1,000 square foot house. Crews attacked the fire with handlines, ventilated the metal roof of the structure to release the heat and smoke, and conducted a search of the house to confirm no one was trapped inside. The Red Cross was requested to provide relocation assistance for one adult and two children displaced in the incident. The cause of the fire was combustible materials near a baseboard heater igniting, resulting in an estimated $50,000 damage to the building and its contents. When it comes to heater safety, remember to keep combustibles "three feet from the heat."